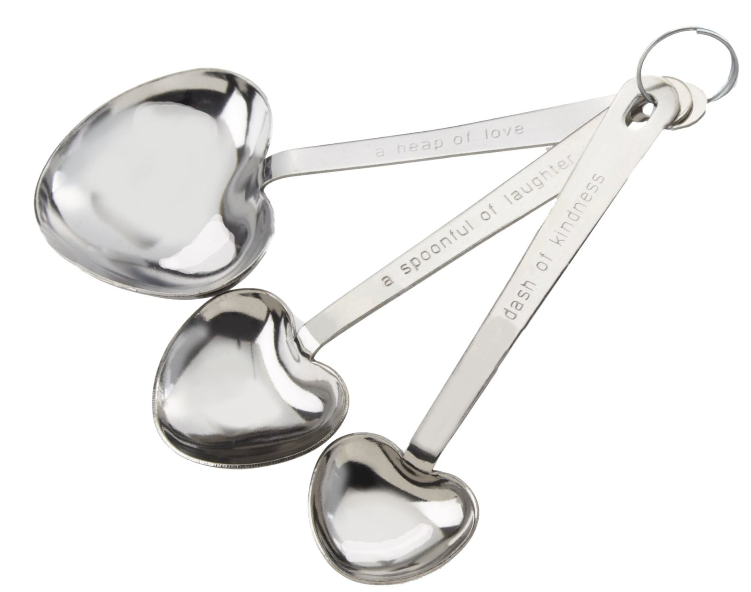 Kate Aspen Simply Elegant Heart Shaped Measuring Spoons $3.35 + FREE Shipping (Reg. $8)! You are here: Home / Great Deals / Amazon Deals / Kate Aspen Simply Elegant Heart Shaped Measuring Spoons $3.35 + FREE Shipping (Reg. $8)! How cute are these!! Right now you can snag these Kate Aspen Simply Elegant Heart Shaped Measuring Spoons for only $3.35 + FREE Shipping (Reg. $8)! Great Valentine’s Day gift basket item!